When Tim Graydon decided to catch some sun rays during this cold, Cleveland winter, he and his wife headed down to Florida for a week to get away. Most of the bookings for the trip were done using his credit card that had some helpful perks including reimbursement for damage to rental cars if said card was used for the payment. This will be important later. During a leisurely lunch stop, Tim pulled his rental car into a spot next to a well-kept BMW and went in to enjoy a bite to eat. Upon leaving, the unfamiliar turn radius of the rental led to rubbing against the BMW leaving a 4-inch scratch across the door. After kicking himself for a silly mistake, Tim snapped a photo of the scratch next to a dollar bill and alerted the driver of the car. 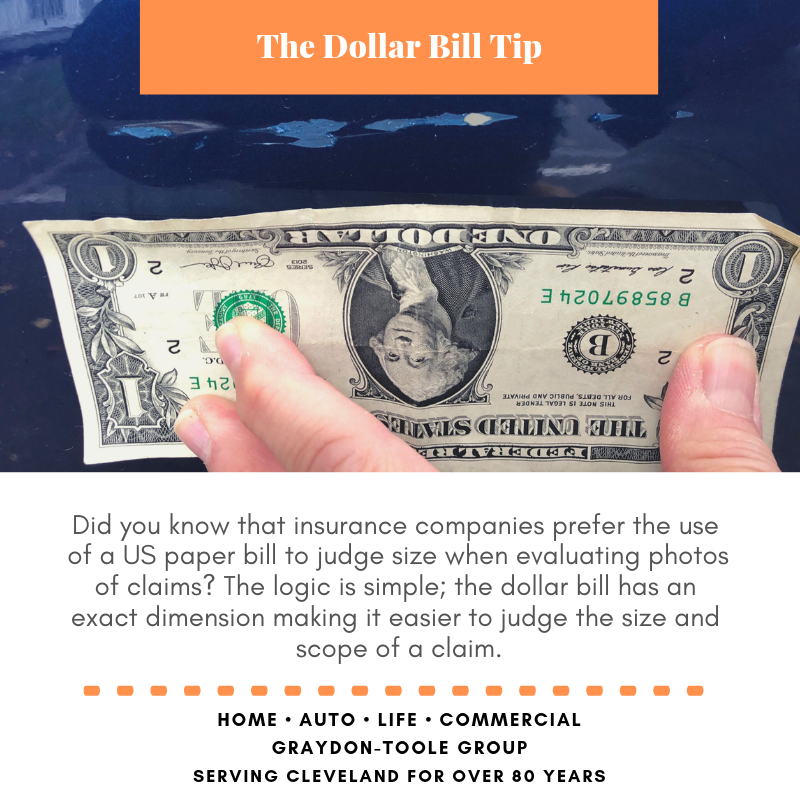 Dollar Bill Tip: Using a piece of US currency is greatly encouraged by insurance companies as it gives adjusters a uniform reference when looking at claims in photos. Being a nice car, this scratch ran a hefty bill of $700. We will cover the pros and cons of submitting a claim for an invoice this size in a future post but Tim’s auto coverage had a deductible of $250. This means that Tim’s insurance would cover the remainder of the bill after Tim paid the full deductible of $250. This is all standard stuff until you factor in the credit card company’s reimbursement perk. After submitting the proper paperwork to the credit card company, they agreed to pay the deductible due to Tim using the card for the rental. $250 might not be much to some but look into the perks of your credit card. Being a little savvy could result in saving some money the next time you make a bonehead mistake. What if you have a water back up in your basement?